Online ads tailor content to the right audience. We enable that in the physical world. 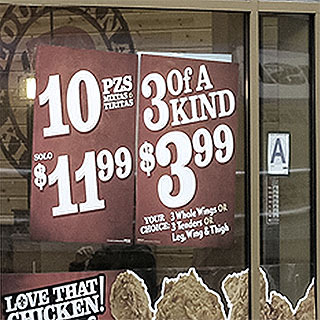 The only display suitable for storefront messaging. Storefront messaging needs to be unobtrusive and visible in daylight, all the while being digital and easy to keep up-to-date. Lumotune Glass is the only display technology capable of delivering all three. Lumotune's patented See-Through Display is a result of 4 years of development in nanotechnology. 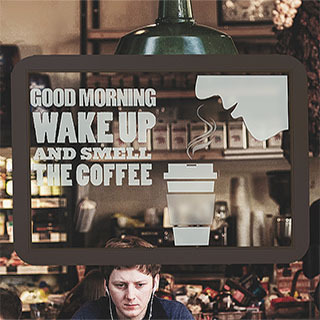 Think of GlassTiles as transparent e-paper. Lumotune's technology is built by sandwiching a proprietary nanomaterial between two sheets of glass. The structure is then connected to electronics, which control small picture elements, called pixels. These pixels can switch between opaque-white and transparent, thereby showing a larger image. See here for full technical specifications. 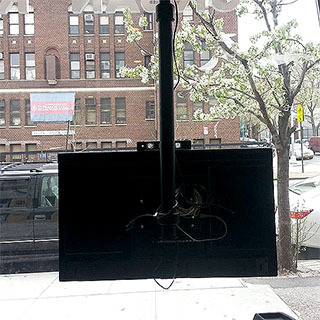 Lumotune's See-Through Display is a 37" glass panel, with around 83% transparency 180° viewing angle. Whether you're a multinational brand, a mom-and-pop shop, or a large venue, we've got you covered. Your IT team sometimes gets in the way. You need their approval to install new software. Luckily, that's not the case with our product. 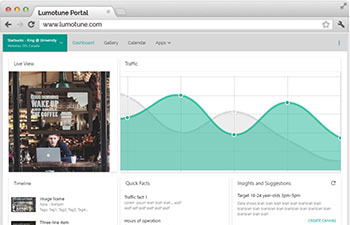 Simply browse to portal.lumotune.com and you're good to go. We look through billions of data points to learn about your patron demographics and sales patterns at each store. We also look at how demographics of neighborhood, weather, time of day, and other factors play into your sales. Based on that information, we recommend the most effective content to be shown on your storefront. Managing content on a thousand storefronts is as easy as managing a single one. 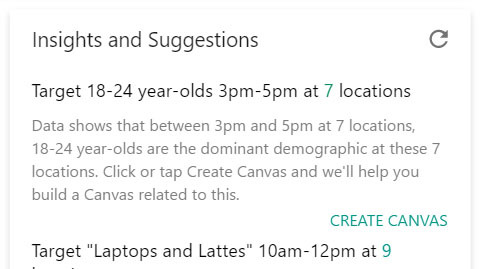 Your marketing team does not need to scale with the number of displays you use. Let the cloud take care of everything. Can you make some extra revenue while using Lumotune Glass? Show third-party ads on your storefronts and get paid for it. It's up to you how much of the time you want to dedicate to these ads. Put your windows to work. Copyright 2017 Lumotune Inc. All Rights Reserved.